Until recently, most servers, storage, and networks were configured manually. Systems managers installed operating systems from an installation medium, added libraries and applications, patched the system to the latest software versions, and configured the software to this specific installation. This approach is, however, slow, error prone, not easily repeatable, introduces variances in server configurations that should be equal, and makes the infrastructure very hard to maintain. As an alternative, servers, storage, and networks can be created and configured automatically, a concept known as infrastructure as code. Standard templates are defined that describe the basic setup of infrastructure components. 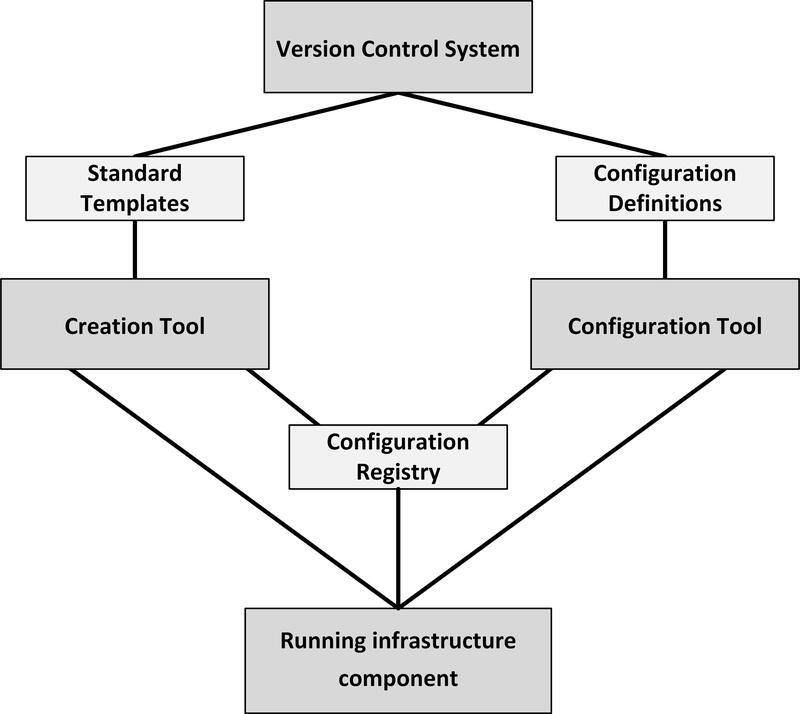 Configurations of infrastructure components are defined in configuration definitions. New instances of infrastructure components can be created automatically by a creation tool, using the standard templates. This leads to a running, unconfigured infrastructure component. 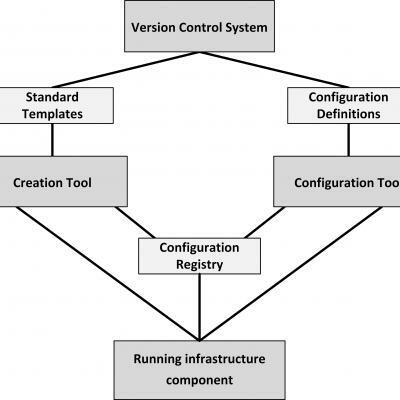 After an infrastructure component is created, the configuration tool automatically configures it, based on the configuration definitions, leading to a running, configured infrastructure component. When the new infrastructure component is created and configured, its properties, like DNS name and if a server is part of a load balancer pool, are automatically stored in the configuration registry. The configuration registry allows running instances of infrastructure to recognize and find each other and ensures all needed components are running. Configuration definition files and standard templates are kept in a version control system, which enables roll backs and rolling upgrades. This way, infrastructure is defined and managed the same way as software code. The point of using configuration definition files and standard templates is not only that an infrastructure deployment can easily be implemented and rebuilt, but also that the configuration is easy to understand, test, and modify. Infrastructure as code ensures all infrastructure components that should be equal, are equal.